Our brewers Mal and Sorcha are busily working on our next seasonal release Ale which is due out at the start of Winter. This brew is designed to delight as we continue with our approach of honoring traditional styles. Sunday Pizza Beats continues with success every Sunday 12-4pm with DJs Si Naylor and Nat Punk mixing funky house beats. This is run in conjunction with the Chauffeur Bus picks up’s. The Chauffeur Bus has now changed to BOOKING REQUIRED, so numbers are knows prior to Sundays. 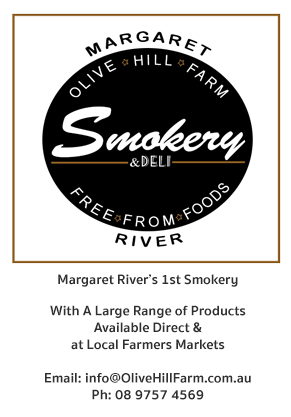 This can be done via margaretriver.com. Advertisments for this are run weekly on the inside cover page of the Augusta Margaret River mail and also on our Facebook page- Colonial Brewery Margaret River. Colonial is proud to continue our support of John and his team at the Chauffeur Bus with their new NIGHT BUS service being run Friday and Saturday nights from 12.15am outside Settlers Tavern in Margaret River. $10 allows anyone a safe ride home. Please also see our post on facebook. The Colonial Team is happy to welcome our new Head Chef, Raoul Finotto, from our sister venue in Perth, The Raffles. He joins the team bringing with him a wealth of experience and will continue to improve on our Brewery made, Fresh and Local approach to the Colonial dining experience. A new menu will be brought out within the coming weeks. “Grounds Keeper Willy”: As the change in seasons is upon us, our brewery fresh herb and vegetable gardens are receiving lots of love and attention as the new crops are sown. These featured heavily across our menu. The grounds keeping team have also been busy pickling our first Olive harvest… Only 2kg this year but it’s a great start!